COMMENT | Let me get this straight. The religious school where 21 children and two adults died was operating illegally and had been warned for safety violations. The manager of the school claimed that he registered his school with the Federal Territory Islamic Religious Council (MAIWP), which apparently unlike the Kuala Lumpur City Hall (DBKL) did not carry out safety checks. Two questions – does an Islamic body trump a civil one and does this mean that the owner’s registration with an Islamic body that neither the owner nor the state religious body in question bears any responsibility for the deaths that occurred during their watch? Some folks have even made the excuse that this was apparently a “temporary” facility used because the permanent one was in the process of renovation. Does this excuse make any sense whatsoever? 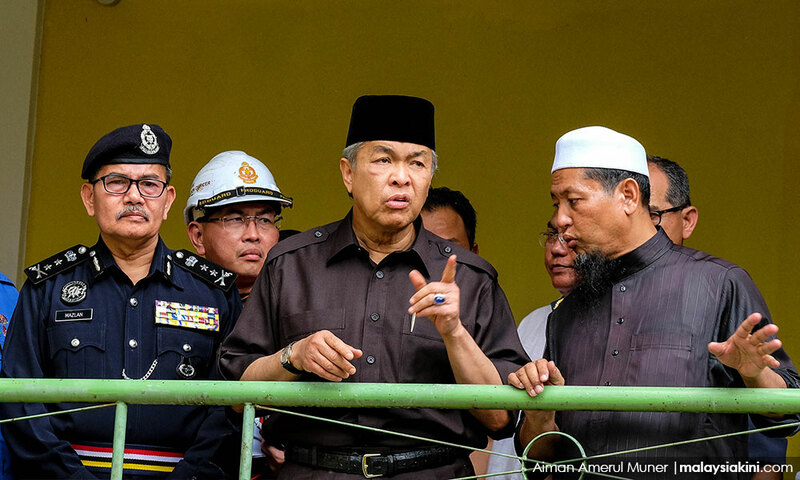 Keep in mind that Deputy Prime Minister Ahmad Zahid Hamidi had said that the federal government, which sticks its snout in everything in this country, has no power to take over the running of these so-called private institutions and passed the ringgit to the state religious authorities which have apparently no enforcement powers either.